Fathers want to step up at home when it comes to caring for their children. This study, led by director of the Providence, Rhode Island Women & Infants Neonatal Follow-Up Clinic, Betty R. Vohr, MD, FAAP, equipped babies with microphones and asked the parents to turn them on when both were around. In looking at the data over time, they found that babies heard more words from mothers than fathers, and that fathers were less likely to speak in what researcher Patricia Kuhl of the University of Washington calls parentese than mothers. When parents speak parentese, they slow down their speech, their voices are musical, and their facial expressions are dramatic. Babies much prefer parentese, and they learn more when parents speak this way. Why does this matter? Because fathers may be losing an opportunity to help their babies learn language, which is the single best predictor of how children do in school, according to many, many studies. Myths about generational difference abound, but there is one change that’s anything but a myth. 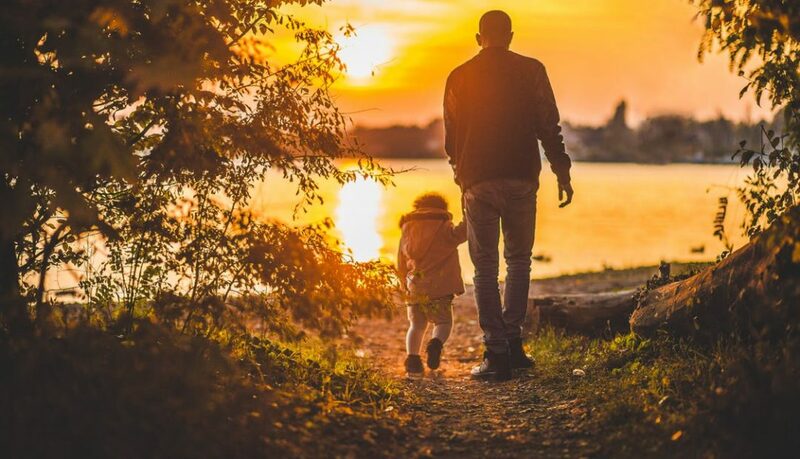 It is that younger fathers — especially Millennials and Gen Xers — are much more committed to being involved in their children’s lives and are spending more time being with and caring for their children than fathers in other generations. Fathers don’t want to be stick figures in their children’s lives! Unfortunately, so much of the research on children’s learning has been focused on mothers, but that needs to change. This new study in Pediatrics is unique in that it includes fathers as well as mothers. Yet it like many other studies counted the words that children hear and that is only part of the story. the conversations are fluid and connected — they go back and forth, back and forth, back and forth. It is so important to tell the whole story when reporting research to families and professionals. From the study in Pediatrics this week, all of us can learn how important men are to the development of children’s language. From the study being featured at NAEYC, all of us can learn that it is HOW we talk to young children that makes all the difference. Ellen Galinsky has been committed to telling the whole story of child and brain development research through Mind in the Making. She is president and co-founder of Families and Work Institute (FWI), helped establish the field of work and family life during the time she was at Bank Street College of Education, where she was on the faculty for 25 years. Her more than 100 books and reports include the best-selling Mind in the Making: The Seven Essential Life Skills Every Child Needs, Ask The Children, and the now classic The Six Stages of Parenthood. She has published over 300 articles in journals, books and magazines. She co-directs the National Study of the Changing Workforce, the most comprehensive nationally representative study of the U.S. workforce—updated every five to six years. Jacklyn “Jackie” Bezos is committed to telling the whole story of child and brain development research through Vroom. She is president and co-founder of the Bezos Family Foundation, which supports rigorous, inspired learning environments for young people to put their education into action. Through investments in research, public awareness and programs, the foundation aims to elevate the field of education and improve life outcomes for children. At the core of the foundation’s work is a belief that all young people deserve the chance to achieve their full potential and make a meaningful contribution to society. Through the foundation, Bezos has pioneered collaborative initiatives that give young people a platform to co-create solutions, including the Bezos Scholars Program at the Aspen Institute, the Aspen Challenge and Students Rebuild.